Mane 'n Tail Herbal Gro Spray Therapy… Discover the secret for beautiful hair. Can be applied to wet or damp hair. The amount of product to use varies with hair fullness and length. 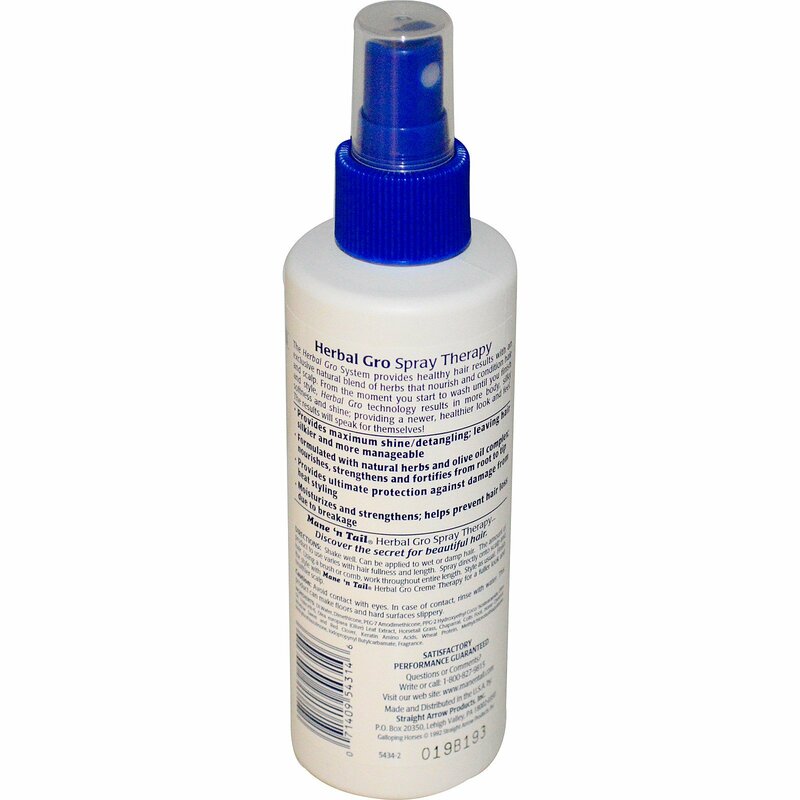 Spray directly onto scalp and hair. Using a brush or comb, work throughout entire length. Style as usual. 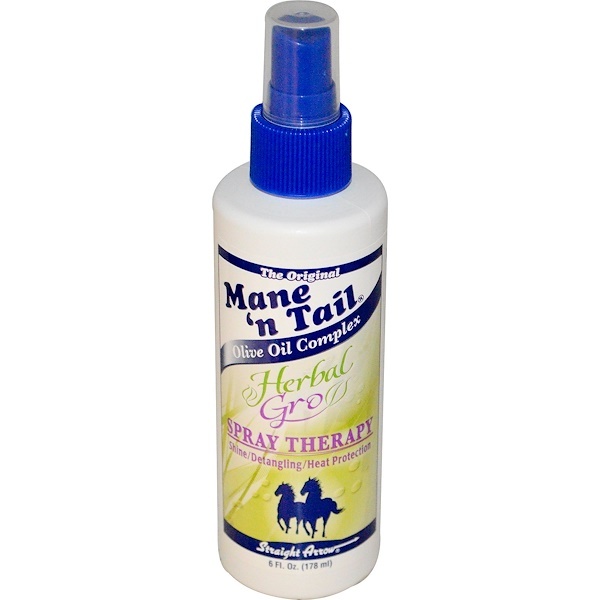 Finish the style with Mane 'n Tail Herbal Gro Creme Therapy for a fuller look and healthier scalp. Di water, dimethicone, PEG-7 amodimethicone, PPG-2 hydroxyethyl coco/isostearamide, olive oil, trideceth-6, olea europaea (olive) leaf extract, horsetail grass, chaparral, colts fool, horse chestnut, meadow sweet and red clover, keratin amino acids, wheat protein, methylchloroisothiazolinone, methylisothiazolinone, iodopropynyl butylcarbamate, fragrance.